In this uplifting autobiography, a modern-day Irish mystic shares her vivid encounters and conversations with the angels and spirits she has known her entire life. For anyone who has ever wondered about the mysteries that lie beyond everyday experience, or doubted the reality of the afterlife, Angels in My Hair is a moving and deeply inspirational journey into the unseen world. For as long as she can remember, Lorna Byrne has seen angels. As a young child, she assumed everyone could see the otherworldly beings who always accompanied her. Yet in the eyes of adults, her abnormal behavior was a symptom of mental deficiency. Today, sick and troubled people from around the world are drawn to her for comfort and healing, and even theologians of different faiths seek her guidance. Lorna is trusted for her ability to communicate with spirits and angels—and by sharing her intimate knowledge of the spiritual world she offers a message of hope and love to us all. 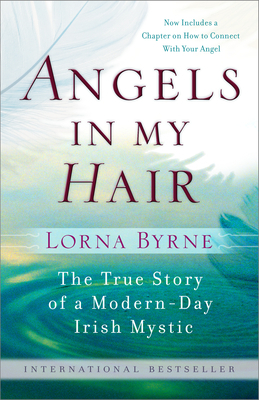 Angels in My Hair is an engrossing chronicle of Lorna’s incredible life story. Invoking a wonderful sense of place, she describes growing up poor in Ireland, finding work in Dublin, and marrying the man of her dreams—only to have the marriage cut short by tragedy. Already a bestseller in Ireland, her story gives readers a unique insight into the angelic help that is around us and available to us all the time. As Lorna says, "All you have to do is ask." Lorna Byrne has been seeing and talking to angels since she was a baby. Now, having raised her family, she talks openly for the first time about what she has seen and learned. She lives quietly in rural Ireland.